Sega has officially announced the rumoured Puyo Puyo eSports title, giving the popular puzzle brand a specialised edition designed for use in competitive matches and events. Puyo Puyo eSports will contain rules from Puyo Puyo 2 and Puyo Puyo Fever, as well as support for eight-player offline tournaments, online battles and a roster of 24 classic Puyo Puyo characters. 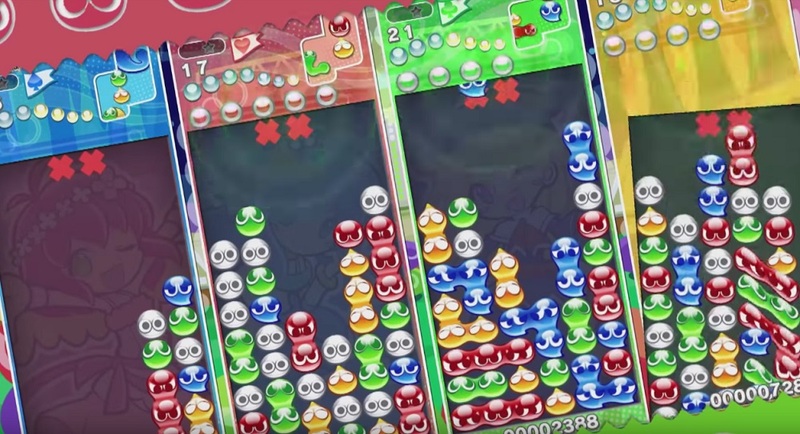 For those who haven't seen pro Puyo Puyo in action, it's something that has to be seen to be believed, with lightning fast decision making and Puyo positioning that is sometimes mind-blowing in it's use of preemptive strategy. Puyo Puyo eSports has been officially certified by the Japan eSports Union (JESU), and thus will likely be the go-to title used at tournaments upon release. Puyo Puyo eSports launches digitally in Japan on PS4 and Nintendo Switch October 25. Hopefully it will see localisation in the west and help the pro community of this fun puzzler to grow.